(Scott Sommerdorf | Tribune file photo) Delegates to the Utah County Republican Convention chose vote in the District 14 race in the "Thunderdome" basketball arena, at Timpview High in Provo, Saturday, April 16, 2016. 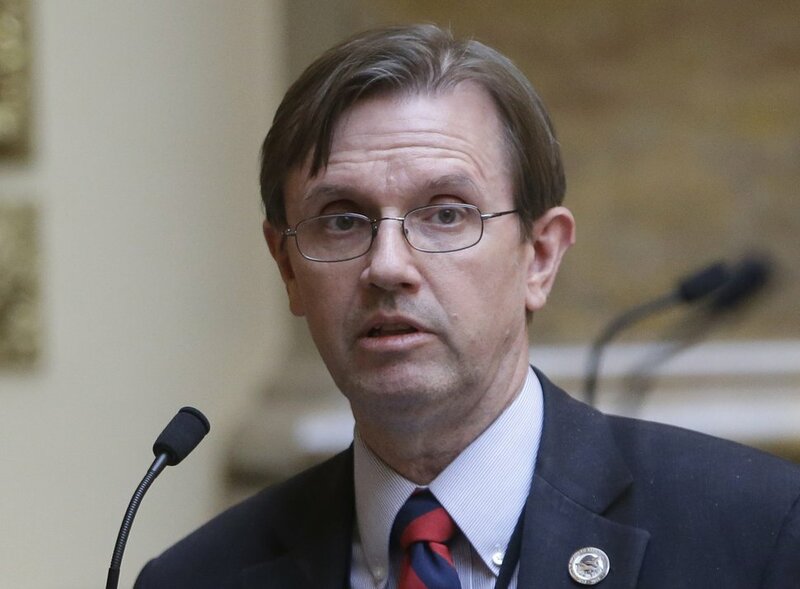 By a 2-to-1 margin, Utahns oppose returning to the old way of selecting party nominees only through the caucus-convention system — even though the Utah Republican Party is continuing a lawsuit seeking to do just that. A new poll for The Salt Lake Tribune and the University of Utah’s Hinckley Institute of Politics suggests voters prefer current law (SB54), which allows candidates to qualify for the ballot through that traditional caucus-convention system, by collecting signatures instead, or both. When asked, “Do you support or oppose political party conventions as the sole method to select candidates for office?,” 60 percent said they were opposed. Thirty percent expressed support. Even a majority of Republicans — by a 52-36 margin — opposed returning just to a convention system. 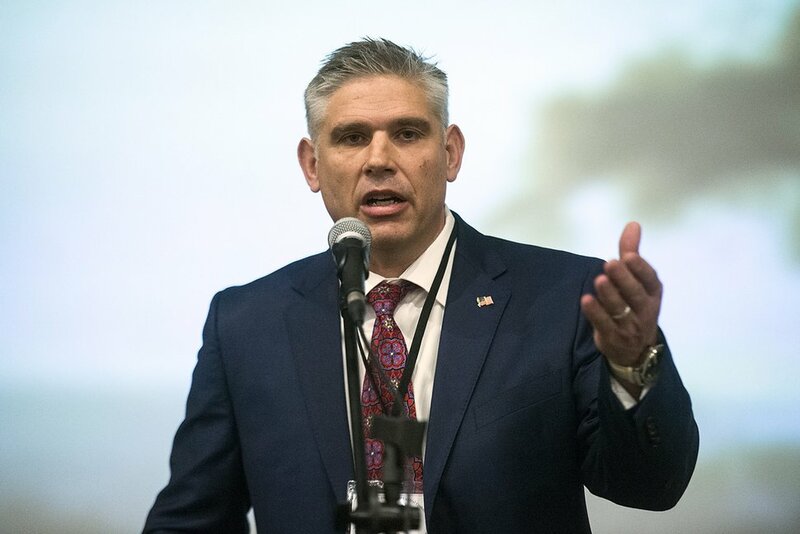 “People like more choices and don’t like anyone to take to take them away,” concedes Utah Republican Party Chairman Rob Anderson, who has been caught between two warring factions of his party on that issue. (Chris Detrick | The Salt Lake Tribune) Utah Republican Party chairman Rob Anderson speaks during the State Central Committee meeting at the Park City Library Saturday, Nov. 4, 2017. The right wing wants to return to just a caucus-convention system because it gives delegates more power, and conservatives usually control conventions. Moderates — including large business donors to the party — say convention delegates tend to nominate people who are outside the political mainstream. For example, in last year’s special congressional election, GOP convention delegates nominated ultraconservative Chris Herrod, a former state lawmaker who pushed for tough immigration laws. Among candidates delegates rejected was Provo Mayor John Curtis, but he qualified for the primary anyway by collecting signatures. Curtis went on to win both the primary and general elections easily. Anderson had attempted to stop a GOP lawsuit challenging SB54 because of a $410,000 legal debt it created, but faced an uproar from right-wing members who control the party’s central committee. Earlier this month, Dave Bateman, CEO of the Entrata property management software company, agreed to cover those legal costs. “With that,” Anderson said, “there’s no hurry to drop the lawsuit,” which will continue. But poll findings on the unpopularity of a convention-only nominating path are unlikely to deter the ongoing lawsuit, said former state Rep. Fred Cox, a conservative member of the GOP state central committee and its executive committee. The new poll results “indicate people are prepared to move away solely from caucus-convention politics,” said Rich McKeown, executive co-chairman of Count My Vote, which is pushing a ballot initiative seeking to firmly cement SB54 into law and lower the number of signatures candidates must collect to appear on the ballot. SB54 was a compromise developed when an initial Count My Vote initiative in 2013 called for using only a direct primary — and appeared likely to pass in the 2014 election. SB54 allowed both systems, but has been under attack in courts and the Legislature by conservative Republicans ever since its enactment. So Count My Vote initially sought to reintroduce an initiative this year to use only a direct primary in which candidates would qualify by collecting signatures. But McKeown said organizers discovered people opposed the idea of losing an option. So the initiative now seeks to cement SB54 into law, allowing both paths to the primary ballot, with some tweaks. He expects his group will gather the 113,000 signatures needed to put the initiative on the ballot “well before” the April 15 deadline. In the new poll, Dan Jones & Associates talked to 803 registered Utah voters from Jan. 15 to 18. The poll has a margin of error of plus or minus 3.5 percentage points.